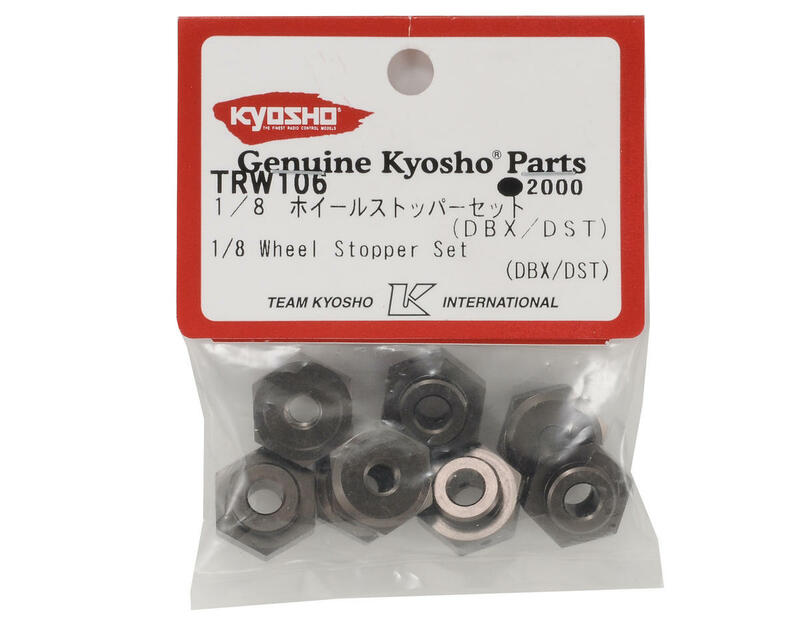 This is a optional Kyosho 17mm 1/8 Wheel Adapter Set, and is intended for use with the Kyosho DBX, DST, DRT and DRX vehicles. These adapters allow you to run 1/8th scale buggy wheels, providing a larger tire selection for the track. 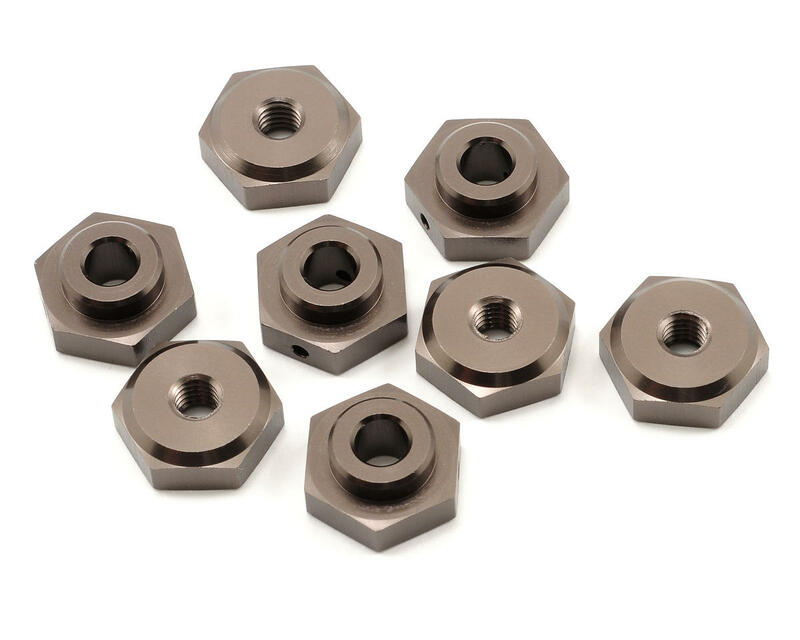 Bolt on performance! If you run on a track, this is a no-brainer. Works as advertised, pins for shafts are also included, although not pictured. Amain is a very solid shopping experience, keep it up! When I received my new DBX 2.0, I was in disbelief.....it did NOT come with these. It was advertised having 1/8th scale wheels which always have 17mm hubs. Kyosho put cheap plastic adapters on the new cars.....instead of these excellent parts. I sincerely hope these will be restocked!